This is the age where children choose electronic gadget and play stations over traditional games such as hide and seek or kite flying. Today’s generation prefers technology and popular games rather than the old-fashioned ones. The reasons are many – lack of interest, lack of time and even sufficient place to play the traditional games such as kho-kho, spinning top, kabaddi, satoliya and many more. Rather than going out kids prefer watching television or using the internet. Game stations inside shopping malls in India have become a trend now and have replaced the ancient games that originated in India. 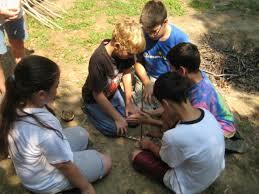 Sadly, kids do not even know the names of those games that were played earlier. The Indian origin games have lost their worth and are almost on the verge of extinction. It’s not just the younger generation which is ignorant of the games played in the past; the older generation too when asked about sports or games in India do not hesitate to start a conversation on Cricket – the religion of India. 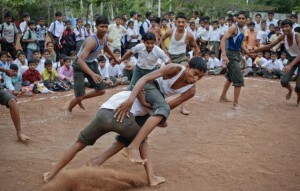 Debates or discussions have no place for the traditional sports such as wrestling (Kushti), Gilli Danda, Kho-Kho et al. Ask a youngster about the Indian teams and their members in different disciplines of sports and they have very little to no information about it. But they are updated about the international teams and players! India is a country rich in traditions and games have found a special place in our culture. Our scriptures, history and mythology are testimony to the game of dice, chariot racing, sword fighting, archery and other games. As the culture and time changed, so did the sports in India. Gone are the days when kids used to hurry back home from school so that they could go out and play their favorite kho-kho, stapu or satoliya. Let’s have a look at the five Indian origin games on the brink of extinction, or better say are extinct! Spinning top is a game that brings back memories of colourful lattus on the streets of India. There was a time when every boy stepped out of the house with a top in hand, like a weapon, which he were proud of! 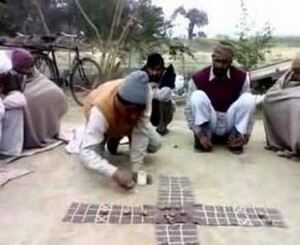 It continues to be played in some of the inner and older areas of Udaipur and small villages in India. The game comprises a lattu/top which is similar to the shape of a turnip. It is made of wood and the player has to spin the top. The wooden toy has two nails at the top and bottom and a cotton string is wrapped to the lower half of the top which makes it spin when thrown to the ground. The longer the top spins, the more excitement it brings! It is also an exciting Indian origin game which is pretty similar to Cricket or Baseball. 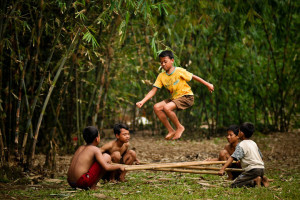 Gilli Danda is a game that is played with two wooden sticks known as gilli and danda. The gilli is around three inches in length and is also tapered at the ends. The danda measures about 2 feet in length and is used to hit the gilli. The gilli is positioned through a small oval-shaped hole at the center of a circle which is about four feet in diameter, on the ground. The player hits the gilli with the danda and flips it into the air, hitting it as hard as he can. After that the player has to run and touch an agreed point outside the circle before the gilli is regained by the opponent. This game has different names in different parts of India such as Danggoli in Bangla, Vhinni-dandu in Kannada, Viti-dandu in Marathi, Kitti-pullu inTamil and Gootibilla in Telugu. 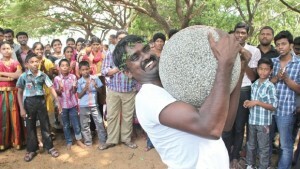 It’s usually played in the rural towns of India and is quite popular among village boys. In the cities, it has become nonexistent. 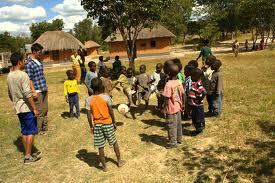 This game is also known as pithoo and is played by both girls and boys. It is a humorous, simple and economical game. It only requires seven flat stones; every stone size is smaller than the other stone and is arranged in a decreasing order. It looks like a tower after it has been arranged to start the game. A player hits the tower like stones with a ball from a fixed distance and runs to arrange it in the same order before being hit by the ball from the opponent side. It can be played by any number of people. Lack of space and time has led youngsters to abandon this fun-filled game in cities. 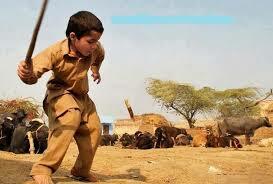 However, kids in villages still continue to play it in some parts of India. 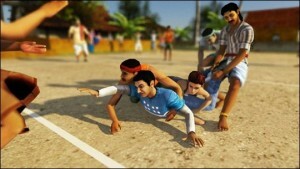 Kho-kho was once a popular game. It was played in schools and colleges for fun sake. But now the parks and grounds are devoid of children playing kho-kho. It is also played at professional level in some parts of India but has lost its importance in modern age. It is said that this game originated in Maharashtra (Pune Gymkhana). 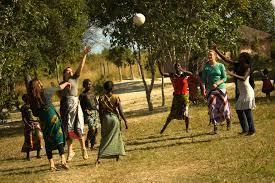 The organization involved with the game is known as Kho-kho Federation of India (KKFI). It is a game that is played between two teams in 2 innings by 12 selected players out of 15, on each side. To begin with, 9 players start the game and 3 players act as reserve. While one team becomes the chaser, the other team is called defenders/runners. The chaser follows the runner, touches them to make them ‘out’. 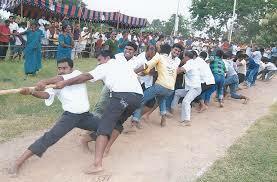 Each team is required to chase and defend for 9 minutes twice in the kho-kho match. 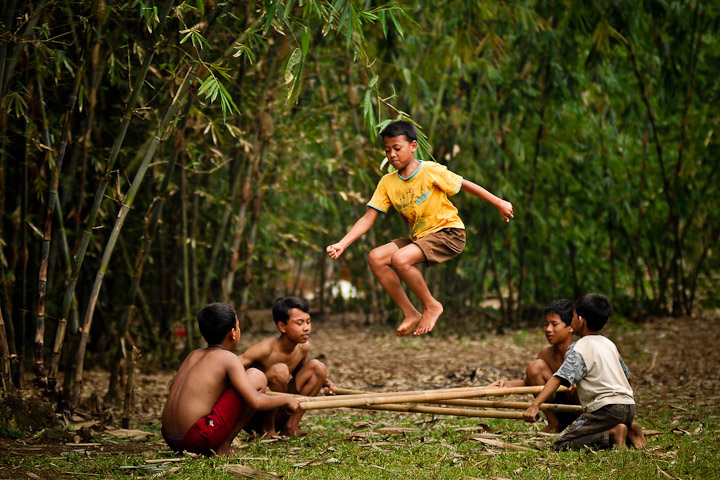 Once celebrated as a street game, kancha was always the favorite of young boys in towns and villages across India. It is played with colored marbles which are known as kancha. The players are required to hit the particular target using the marble ball. The player who aims well wins the game and takes away all the kanchas from the rest of the players. The above Indian origin games are quite exciting but despondently have lost their importance with time. Kabaddi too was one of the forgotten games, on the brink of extinction in India but it was invigorated and now there are kabaddi leagues being played. The ancient traditional game that was played 4,000 years ago has been revived which gives hope to other forgotten games on the brink of extinction.